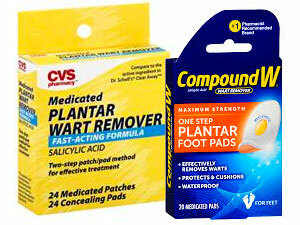 How Do I Use Mediplast Wart Remover Pads to Destroy Plantar Warts? Is the Salicylic Acid in Wart Remover Pads Such as Mediplast Safe? Warts usually aren’t painful unless they’re on your feet. Those warts can seriously impair your ability to walk. You may have already discovered that most treatments for destroying warts can be painful. You’re to the point that you really want the warts gone, but you want a gentle treatment. Maybe it’s time you tried Mediplast wart remover pads or a similar product. The pads are saturated with salicylic acid. Salicylic acid in all its formulations has long been used to painlessly remove warts. We’ve collected the facts here on how the pads work and what you can expect when you try them. 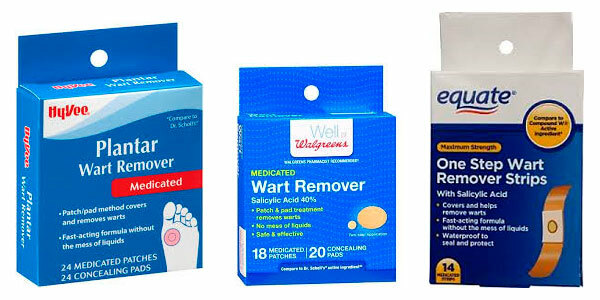 Where Can I Buy Wart Remover Pads? Do Pads Take a Long Time to Remove Plantar Warts? How Long Can I Use Wart Removal Pads? Your skin is the largest organ in your body and has many functions. One of the primary functions of your skin is to protect the rest of your body from everything outside it. Although it may feel soft and flexible, skin is extremely tough. Part of what makes skin so strong is a protein called keratin. Salicylic acid dissolves keratin. 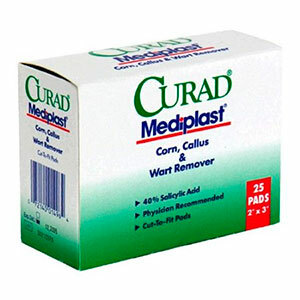 Products such as Curad Mediplast wart remover pads contain salicylic acid. It can take some time, but the salicylic acid will dissolve the surface of your wart. Repeated applications result in the eventual destruction of the wart. Salicylic acid treatment is generally painless and rarely leaves a scar. Water softens skin, so your wart will disappear faster if you soak it in warm water before applying the medicated pad. You can then use a mild abrasive, such as a pumice stone, to rub off as much of the surface of the wart as you can. That will allow the medicine to penetrate deeper into the wart. Be sure to dry your skin thoroughly before you apply the medicated pad. Mediplast wart remover is provided as pads that are saturated with 40% salicylic acid. The pads are self-sticking. Cut a circle out of the pad that’s big enough to cover your wart. Press the circle in place. Cover the circle with tape if needed to keep it stuck. Leave the pad in place for the time recommended in the directions. When you remove the pad, it may pull part or all of the wart out with it. Soak the area in warm water again for several minutes, then remove as much of the dead skin as you comfortably can. Repeat the process until your wart is gone. It can take up to two months before your wart is fully dissolved. Salicylic acid also has anti-inflammatory, antibacterial, and antiseptic properties. If you are unable to use the medicated pads, you can still get the benefits of salicylic acid. It’s available in liquid, gel, or ointment for warts. A willow tree – the original source of salicylic acid. Medicated wart removal pads are impregnated with 40% salicylic acid. That is a small enough percentage that the pads are available over the counter. You do not need a doctor’s prescription to purchase them. You can choose from a variety of brands. All are available at most pharmacies, online, and department stores. 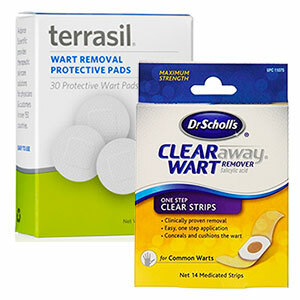 Many chain drug stores also carry their store brand of wart pads. These are often less expensive than name brands. Each brand has slightly different ingredients, so it’s important to read the labels carefully. Depending on how large they are, plantar warts can be very painful and affect your quality of life. It’s a good idea to treat your plantar wart as soon as it starts even if it isn’t large or painful. Keep in mind that warts are contagious. If you have one wart, you’re at risk for more appearing. It’s essential to keep your feet scrupulously clean and dry, as warts love moist skin. Treatments for plantar warts are generally the same as they are for any other warts. However, many individuals have discovered that medicated wart removal pads are more comfortable than other kinds of salicylic acid products. 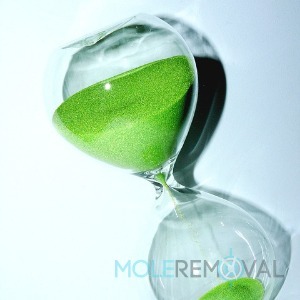 Several factors affect how long it takes for products like Mediplast wart removal pads to dissolve plantar warts. Healing time can vary greatly from individual to individual, and can take from days to weeks to months. It’s important that you keep your immune system strong and healthy. Salicylic acid doesn’t kill the virus that causes warts. Only your immune system can repel or suppress the virus. Other factors include the size of your warts and how large they are. You may need to treat them one at a time. You have another viral infection, such as the flu. Salicylic acid products should not be used on young children. Can Medicated Pads Be Used With Other Treatments? Salicylic acid wart remover pads kill the top part of your wart. That allows other medications to penetrate deeply into the wart and assist in destroying infected tissue. You can alternate the medicated pads with other remedies like black salve for warts or products designed to freeze your warts off. Products that contain alcohol or ingredients meant to dry your skin. Exfoliates on or near the wart area. Abrasive cleansers or soaps on the wart. Salicylic acid has a drying and exfoliating effect and using additional products will potentially lead to irritated or damaged skin. Products such as Mediplast wart removal pads and other salicylic acid treatments are generally safe for most people. However, like any other medicine, not following label instructions can lead to unpleasant side effects. Salicylic acid can cause you to sunburn easily, so you need to protect your skin if you go outside. It also interacts with various prescribed drugs. Those will be listed on the label, but you can always ask your pharmacist if you’re unsure. If you experience itching, a rash, or swelling, then take the medicated pad off immediately. Wash any residual ingredients off your skin. If your wart becomes painful or starts bleeding, then stop using the pads. If there is no irritation or damage to healthy skin, you may continue using the medicated wart removal pads until your wart is gone. Although products like Mediplast wart remover pads take longer to work than invasive medical procedures, they can destroy your warts painlessly. Medicated pads are convenient, effective, and safe. They are easy to obtain and use in the privacy of your home.